The number of people worldwide who have been infected with the deadly H5N1 strain bird flu since 2003 has risen above 200, the U.N. health agency said Friday. The World Health Organization said the total number of confirmed human infections since the current outbreak began has reached 204, adding eight people who previously tested positive for the disease in Egypt. WHO raised to 113 its official death toll from H5N1, adding two Egyptians and a Chinese man whose deaths already had been announced by national authorities. Virtually all the individuals were exposed to the disease in poultry. The health agency's tally has generally lagged behind reports in individual countries because it had waited for further confirmation on samples sent to its partner laboratories. WHO spokeswoman Maria Cheng said the agency has changed that policy and will now accept results from approved national laboratories. In some cases long delays occurred because health officials in some countries were unable to arrange acceptable shipping of samples to reference labs. The eight new cases occurred in Egypt and all were verified only in the country, Cheng said. "The new guideline is that the initial cases of an outbreak of H5N1 should be tested in an external lab or have verification done on site, as long as one or the other is available," Cheng told The Associated Press. "We had two teams that went to Egypt and they verified that the laboratories there do have the ability to make an H5N1 diagnosis." Egypt's Health Ministry considers a case confirmed after tests come back positive for H5N1 from either the country's national public health laboratory or the U.S. Naval Medical Research Unit 3 (NAMRU-3). 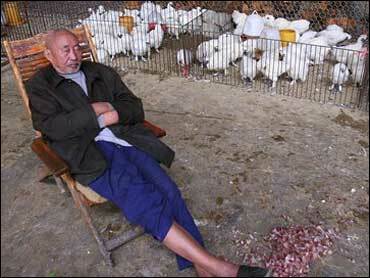 There have been 12 confirmed human cases of H5N1 in Egypt, four of them fatal, WHO said. The virus has infected 17 people, killing 12, in China since last year, according to the agency's figures. Meanwhile, earlier this week in the United States, President Bush was said to be close to approving a national response plan that lays out how agencies should respond if the flu were transmitted to humans. Federal officials say the first case of bird flu could show up in the United States in the coming weeks or months as birds migrate from overseas. The plan assumes a worst-case scenario that as many as 90 million people in the U.S. would become sick and 2 million would die during a worldwide flu pandemic. It envisions people may need to avoid human contact and stay home from work, school and other large gathering places, according to officials familiar with draft. Some details of the draft, first in Sunday's Washington Post, were confirmed by officials at the White House who spoke anonymously because the plan has not been finalized.